Have you ever been so exhausted, so overloaded, so overwhelmed (even with good things or a mixture of good and hard) that you are numb ... on the verge of tears one minute then totally blank the next? That's me right now. Three weeks with "littles" (I love them to pieces, but the energy doesn't coincide), overlapped by my husband's medical procedure that cancelled out a looked-forward-to trip to visit siblings on my beloved Jersey shore, capped off with my own need for a CT scan of an unexpected abnormality found in a previous ultrasound -- all have contributed to my "blank" numbness. 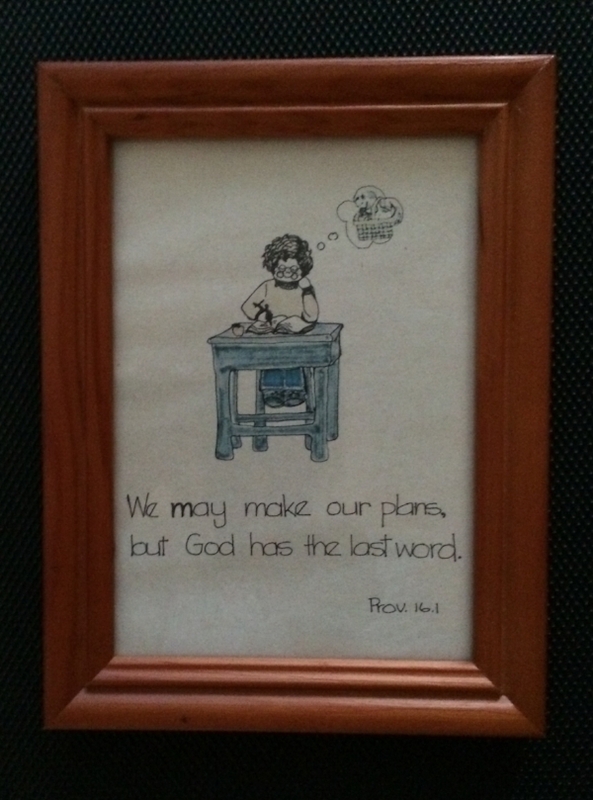 We may make our plans, but God has the last word. How can we understand the road we travel? It is the LORD who directs our steps. When Sue and I walked and talked together yesterday we acknowledged the truth of that Scripture for both of us. And isn't it comforting that God meets us in the midst of the "blank" and "numb" and "overwhelmed," directing our paths according to HIS ways not our own. Friends, are you numb right now -- exhausted, overwhelmed, blank? You moms of young children surely hit this often! Just know, dear one, that this is the Lord's road for you, and He is with you in it ... guiding you, loving you, empowering you through His indwelling Spirit by faith ... no matter how you feel. He is there! Trust Him.